This eastbound freight is working upgrade in Echo Canyon towards the summit, as seen from the northeast side of Echo Canyon Road. 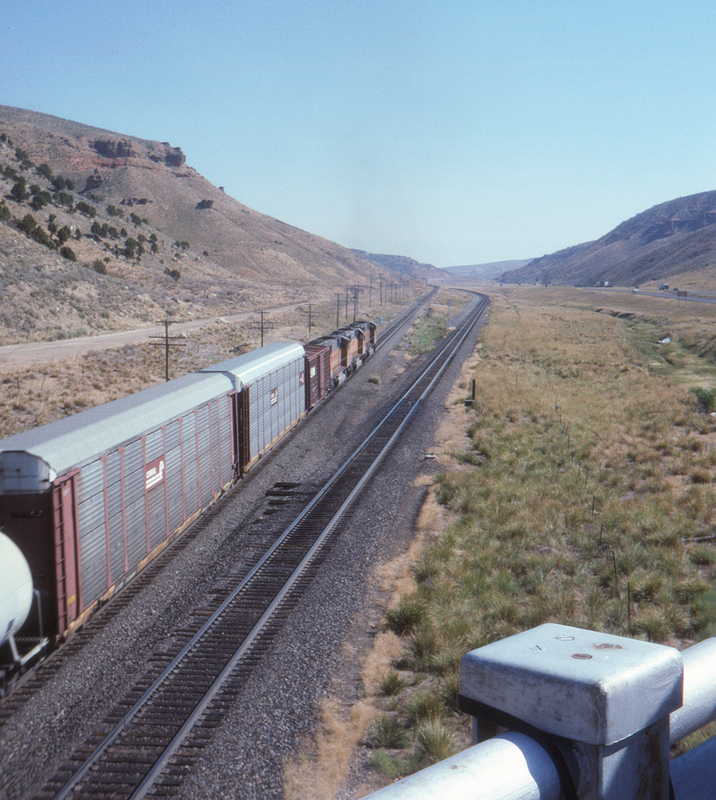 The left-handed running will continue until just south of Wahsatch, where the eastbound track crosses below the westbound just before a pair of tunnels. Echo Canyon Road used to continue paralleling the tracks for a distance, but now terminates shortly past the locomotives.